Using it is easy. Basic usage has tree steps. Include the colorpicker.js in the <head> of the HTML file. Add the class ‘colorpicker’ to the <input> tag you use in a form for the color to choose. Multiple pickers can be added by inserting more <input> tags with the classname ‘colorpicker’ which the standard ColorPicker.init() method all transforms into color pickers. You’ll need to repeat that line for every color picker you have if you don’t want to use ColorPicker.init(). This way you can set parts of the configuration (e.g. only the word ‘cancel’) or the entire configuration by extending the hash table. 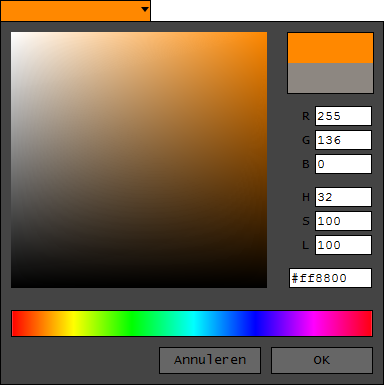 You can get the latste version of the ColorPicker from http://projects.edesign.nl/colorpicker/latest/colorpicker.js. 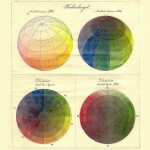 The project page is available at http://projects.edesign.nl/colorpicker/. This entry was posted on Tuesday, August 3rd, 2010, 16:36 and is filed under Projects, Usability. You can follow any responses to this entry through RSS 2.0. You can leave a response, or trackback from your own site.